There are hundreds of Live How To Make Your Own Windows Live CD How To Make Your Own Windows Live CD Read More CDs Put your Linux Distro on a Live CD Put your Linux Distro on a Live CD Recently, Live DVDs and Live USB have cropped up as well. These live systems are full versions of the operating system that run completely from the given medium. Read More available online, almost all absolutely free. Many are indispensable for a variety of purposes, such as desktop recovery. For instance, you can have GParted for partitioning, Backtrack for penetration testing, System Rescue CD as a rescue CD, CloneZilla to clone your hard disk, and DBAN to completely wipe data from your hard drive. And then there are hundreds more Linux distributions The Best Linux Operating Distros The Best Linux Operating Distros The best Linux distros are hard to find. Unless you read our list of the best Linux operating systems for gaming, Raspberry Pi, and more. Read More that you can find as a bootable CDs. While all these tools are great, carrying multiple CDs around is a hassle. 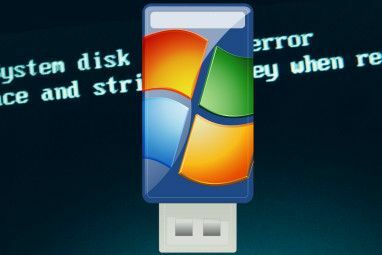 So let’s try something else: like using MultiCD to build a multiboot CD image How to Create a Bootable Multiboot USB for Windows and Linux How to Create a Bootable Multiboot USB for Windows and Linux A single USB flash drive is all you need to boot, install, and troubleshoot multiple operating systems. We'll show you how to create a multiboot USB, including Windows and Linux installers and recovery tools. Read More . Let’s look at how it is done. MultiCD is a shell script designed to build a multiboot CD image. MultiCD works with a massive range of bootable Live CDs What's the Best Way to Run Multiple Operating Systems on Your PC? What's the Best Way to Run Multiple Operating Systems on Your PC? Undecided between Windows and Linux? It's possible to run multiple OSes on a single machine either by dual booting or using a virtual machine. Let's find out which one is best for you. Read More , including Arch Linux, Debian, Mint, Hiren’s BootCD, NetbootCD, and Tails. Check out the full list right here. There are numerous options. Subsequently, you’ll only be limited by disk space. Start by creating a new folder. I’ve named mine MultiCD to keep things easy. The MultiCD archive should download quickly. On completion, extract the contents of the archive to the MultiCD folder we created earlier. You’re almost ready to create the multiboot CD. Next, copy or symlink the ISOs you’d like to install to the MultiCD folder. Remember, only distros on the supported list will work. Furthermore, MultiCD requires specific filenames. These are listed alongside the distro links on the supported ISOs page. For instance, dban-2.3.0_i586.iso must be renamed dban.iso. The script will automatically detect which images are present in the folder and create an ISO for you. The resulting ISO will is named multicd.iso. Once installed, open Brasero. Next, insert a compatible black CD or DVD. Select Burn image, then browse to the MulitCD ISO created in the previous section. Select Burn, and you’re good to go. MultiCD is a great way to create a multiboot CD or DVD. However, many people now prefer to use a USB drive The 5 Best Linux Distros to Install on a USB Stick The 5 Best Linux Distros to Install on a USB Stick USB are great for running portable versions of Linux. Here are the most useful Linux distributions to run from a USB drive. Read More instead of a disc. Luckily, there are numerous utilities for the creation of a multiboot USB drive, such as MultiSystem or LiveUSB Install. Using the former, I’m going to quickly show you how to create a multiboot USB. Use this link to download the latest version of the Multisystem LiveUSB Tool script. You will have to enter your password, then wait for the script to complete. Open MultiSystem. Select the USB drive you would like to use in the bottom panel and press Confirm. Your MultiSystem USB drive is now ready to receive your ISOs. Drag and drop any ISOs into the box at the bottom of the window. The ISOs must be added one at a time, as well as entering your password. Unfortunately, this makes the construction of a large multiboot USB drive somewhat time consuming. MultiSystem has an advanced menu, containing a download option. It is a lengthy list, containing a mix of popular — and, some more obscure — tools and operating systems. Selecting an option will open the website download page for the specified tool. Once downloaded, it can be added to your multiboot USB drive. The advanced menu also contains the options to test your multiboot USB drive using QEMU or VirtualBox. In addition, options are available for GRUB Settings, as well as the addition of command line boot options. Multiboot discs are extremely handy. 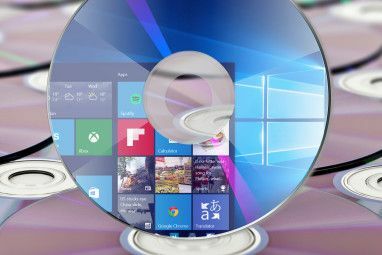 You can keep all manner of utilities and rescue discs The 5 Best Rescue and Recovery Disks for a Windows System Restore The 5 Best Rescue and Recovery Disks for a Windows System Restore Here are the best Windows rescue disks to help you access your computer for making repairs and backups, even when it won't boot. Read More stored in one handy, easily transportable location. You now have the tools to make a multiboot CD, DVD, or USB drive. What combination of tools will you keep handy? What is your favorite multiboot tool? Do you know of any other tools that yield similar results? Let us know your multiboot tips below! 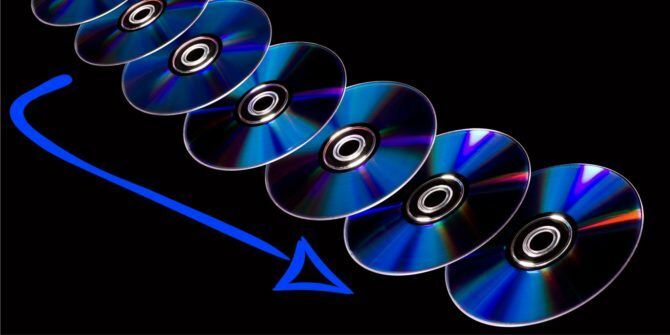 Explore more about: CD-DVD Tool, CD-Rom, Disk Image, ISO. I have used all of the tools mentioned here, but settled on easy2boot as my go-to tool for usb loading. It works under linux and windows, and allows me to boot multiple windows and linux iso images from one usb device. Other than that I feel that CD/DVDs are at some point obsolete. I know they are very cheap and still a good way to have a copy of your movies / music etc but they inevitable lose data faster than you think and are hardly reusable read-only media. On the other hand, if you can afford an external hard drive you may store all that in a lot more reliable place and even create a special multi-boot partition for all your bootable OS and tech support tools in an all-in-one place. Absolutely what I want. Thank you so much. I followed this guide to burn ISO file to DVD, but it can burn only one ISO file at a time, it really piss me off. Nice guide, it's really useful for me. I used to use this DVD Burner to burn ISO file, it can burn one ISO file at a time. I'm with Henry. 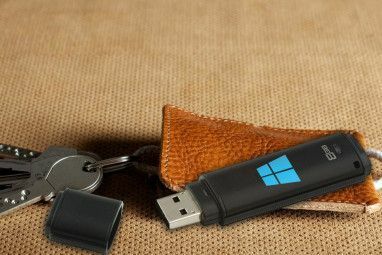 This is a great post and I'd like to know how to do it for a USB drive too! Doesn't seem like there is an equivalent Windows script to create the image file, is there? Do you have a tutorial for windows? I second Henry's question.. would be great if that is possible. This is a good one, been looking for a way to get this done. One question though. Is it possible to use a tool like live usb creator or unetbootin to move the new iso file into a bootable flash/thumb drive?